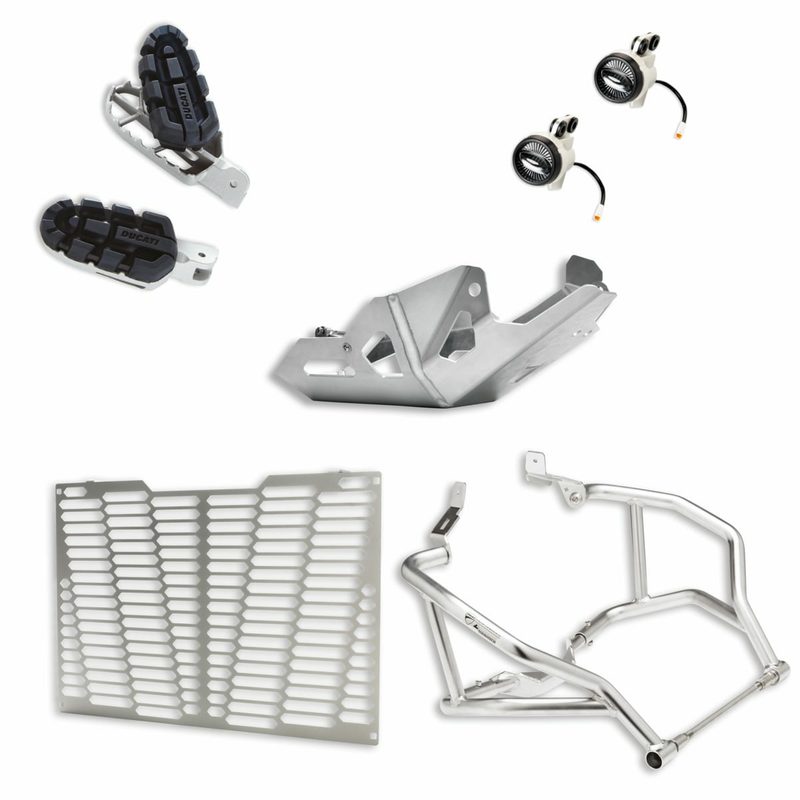 Enduro Multistrada 1260 accessory pack. Complete packages must be ordered ONLY through package part number. Package components can also be purchased individually.For any assembly incompatibilities among the accessories contained in the packages and others of the family, verify the notes on the data sheets of the single components. The package includes: additional spotlights, engine guard in steel pipes, radiator protection grille, off-road footpeg set.